Background textures are an excellent way to add cohesion to your track. We can use recorded sounds from natural spaces, vinyl crackles and other interesting ambient samples. In this example, we are going to get more creative by resampling a time stretch loop to creative a melodic phrase for the track. If you don’t have a time stretched loop you can easily create one by stretching a section of audio by 8x or more. Experiment with different types of audio. Anything from acapellas, piano loops to full tracks can create very interesting textures. First, drag the time stretched loop into your sampler and select slice. Because the audio is time stretched, Ableton finds it very difficult to slice by “transient” so in this case we select slice by “region”. Next, increase the number of regions. This can be different each time, depending on the length of audio and how often changes happen. 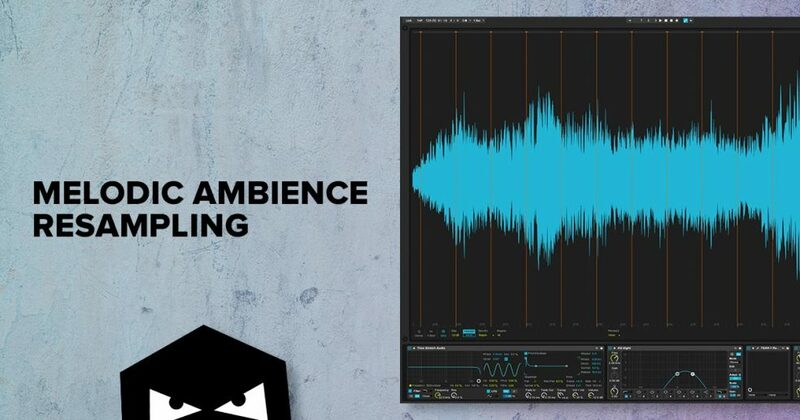 This is one parameter you will want to experiment with. If you already have your track in place, you will need to transpose the audio so that you can play in key. Here we transposed up by 8 semitones. Now comes the fun part, use your MIDI controller to play the different slices at different intervals and come up with an interesting sequence. As you can hear it’s very over powering and needs some filtering along with some reverb to smooth things out. We added a band-pass filter to clean things up. 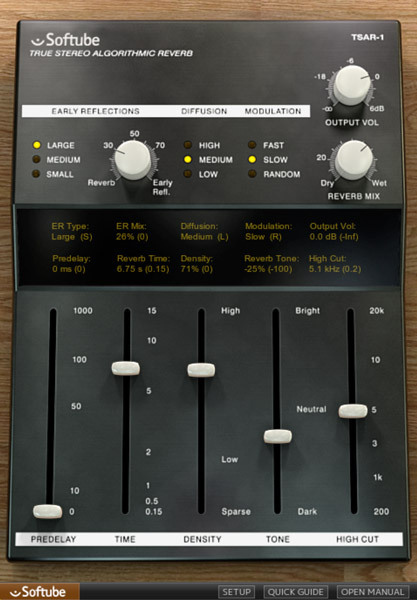 Next, is a large 6.75 second reverb from the Softube TSAR-1. This helps to smooth the sound out and push it back in the mix. Seeing as though this is just a melodic texture, it doesn’t need to be upfront. We then add another EQ to remove a resonant frequency around 3.3kHz. Also sculpting a little more of the lows and highs from the reverb. The final touch is to layer the new resampled melody with an outdoor audio recording and vinyl noise. This adds extra depth and brings a the section to life. Here’s the sound in the mix.